The Flowline EchoPod DS14 is a general purpose ultrasonic level switch which provides continuous level detection up to 49.2” (1.25m) with 4 programmable relays for level switch or level control functions, and is configured via our free WebCal software. enables flexible design applications for system integration or retrofit of floats, conductance and pressure sensors. Well suited for fluid handling and chemical feed applications integrating process or control automation of small tanks mounted on tools, skids or machines. The tough PVDF enclosure is well suited for an huge range of corrosive | acidic, waste or slurry type media. This flow switch can be installed with no changes to existing control hardware or software for easy design conversion and field retrofit. It comes complete with embedded control functions, negating the need for external level control hardware; making this a more cost effective option. WebCal is an innovative PC user interface that provides fast and accurate configuration. EchoPod can not be congured without the WebCal USB FOB. One Fob will configure all EchoPods. 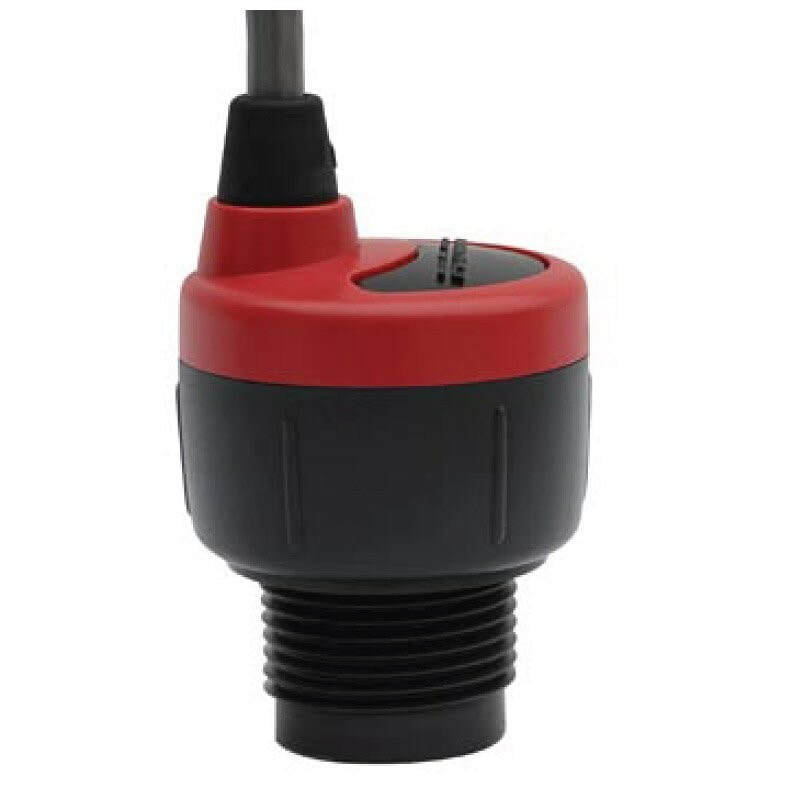 The EchoPod DS14 is a general purpose non-contact ultrasonic level switch and controller with 1-4 discrete switch points for small tanks 1.25 m or less.